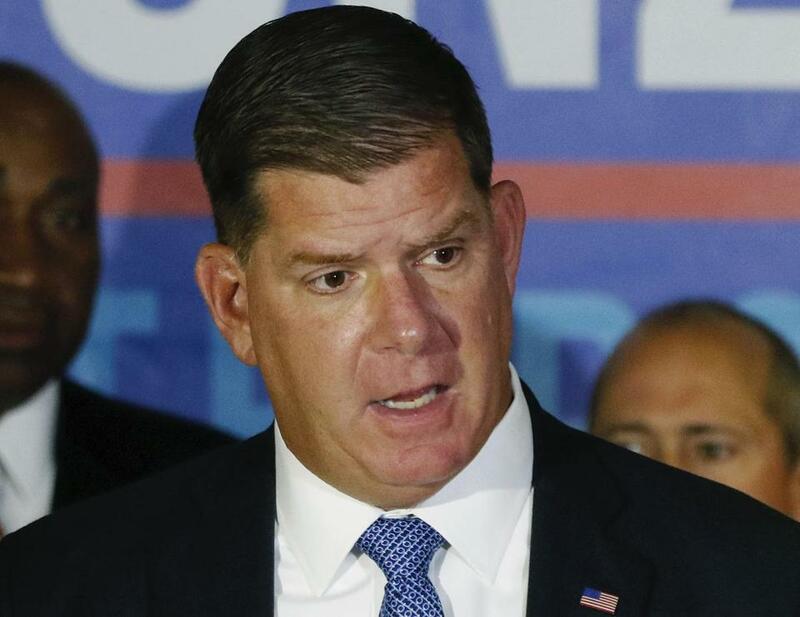 Mayor Martin J. Walsh said Thursday that the city has filed a lawsuit against 13 drug manufacturers, four distributors, and a local doctor, blaming the prescription painkiller industry for an opioid epidemic that has ravaged families across the city and the state. The lawsuit, filed in state Superior Court, seeks reimbursement of more than $64 million the city has spent since 2014 in response to the epidemic, as well as payment for future costs and for rehabilitation services and programs. The lawsuit claims that, between 2010 and 2016, painkillers were prescribed to Boston residents at a rate double the state average and nearly three times the national average. And at the same time, the city has seen a surge in fatal drug overdoses, many from prescription painkillers: From 2013 to 2017, 723 Boston residents died from opioid-related overdoses. Citing state public nuisance, fraud, and negligence laws, the lawsuit alleges companies and distributors used deceptive tactics to market the drugs to doctors, erroneously reporting they were not addictive despite knowing their dangers. The lawsuit also alleges distributors failed to report suspicious shipments and prescriptions, creating a black market for the drugs. “These manufacturers and distributors need to pay for the damage they’ve done,” Walsh, joined by city and medical officials, said at a news conference at the Woods-Mullen Shelter for homeless women on Massachusetts Avenue. The shelter sits on what is known as Methadone Mile, where the scourge of the epidemic is glaring. “They put profit ahead of people, knowingly fueling addiction at the expense of human lives,” Walsh said. The doctor named in the lawsuit is Fathallah Mashali, formerly of New England Wellness & Pain Management PC, who was sentenced in federal court in March to eight years in prison for defrauding Medicare. That case began with an investigation into his excessive prescription of painkillers over multiple years. As with the tobacco litigation of the 1980s, local governments nationwide have filed an increasing number of lawsuits seeking to hold pharmaceutical companies responsible for an opioid epidemic rooted in addiction to powerful prescription painkillers, such as OxyContin. In June, Attorney General Maura Healey filed a state court lawsuit alleging OxyContin maker Purdue Pharma and its executives and board members spread falsehoods about the drug and that the company created a public nuisance through spawning addiction and illness. Leo Beletsky, a law and public health professor at Northeastern University School of Law, who specializes in the opioid industry, said local governments “are getting smarter” in calculating the toll the epidemic has taken on local communities, and seeking to hold the industry accountable. That has often meant higher payouts than were typical of settlements just a decade ago, for instance when West Virginia received $10 million in a settlement over the epidemic in that state. “There’s a recognition that these early settlements did not properly account for all the ways the crisis affected their jurisdictions,” he said. Most cases are settled without a trial and with relatively minor payouts, he said, because it can be difficult for government entities to prove to a jury that a single pharmaceutical company could be responsible for an opioid epidemic, when many other factors are also at play: irresponsible providers, failed regulations, and inadequate enforcement of laws against the black market. At the same time, he said, pharmaceutical companies have been willing to settle to avoid being cast in the role of “evil corporate giants” at a trial. Beletsky said communities such as Boston should use the lawsuits, and any payouts from them, to confront the epidemic. “A lot of these settlements are a slap on the wrist, and it goes back to business as usual,” he said. John Parker, senior vice president of the Healthcare Distribution Alliance, the national trade association that represents distributors, including several named in the lawsuit, said in a statement that distributors and others in the industry are being scapegoated for a scourge that is complex at many levels. Purdue Pharma, one of the lead defendants and the maker of OxyContin, released a statement denying the allegations, pointing to what it said were its efforts to combat the drug epidemic. “We share the city’s concern about the opioid crisis,” the company said. The company said its work was approved by federal regulators. Walsh, a recovering alcoholic, said he took the behavior of the pharmaceutical companies personally and he hoped the litigation would send a message to executives and board members who have cashed in on the epidemic. “This lawsuit is not about money, this lawsuit is about lives,” he said, citing library workers who find overdose victims in bathrooms and public works employees who pick up dirty needles in city parks. The mayor was joined by medical professionals who supported the effort. Myechia Minter-Jordan, president and CEO of the Dimock Center, a health center for the city’s underserved neighborhoods, said she recalled being trained as a physician that doctors should work to minimize pain, and how that led to encouragement to hand out prescription painkillers. That was the case with Jared Owen, the head of the Massachusetts Organization for Addiction Recovery, who said he was prescribed 60 painkillers, with refills, after he dropped a dumbbell on a toe when he was 14. It marked the beginning of an opioid addiction that continued until his early 20s, when he resorted to injecting himself with heroin to feed his habit. Owen was arrested about five years ago, which led to his recovery, and he has returned to a master’s degree program at Massachusetts Institute of Technology. “The influx of these drugs into our medication, and into our streets, has led directly to the opioid epidemic that is devastating my generation,” he said.